FRESNO – The American Red Cross Central Valley Region has launched The Pillowcase Project, a pilot in school and after-school programs to teach third through fifth graders and their families how to prepare for disasters. The Central Valley Region is one of 60 Red Cross chapters that will pilot the program. The program will launch nationwide in late 2015. The Pillowcase Project curriculum follows three essential teaching steps: learn, practice and share. Students learn how to prepare for emergencies, enhance coping skills, practice what they have learned and share their knowledge with friends and family. The program emphasizes the importance of developing an emergency communications plan, fire evacuation plan and emergency contact cards. The program also teaches students how to create their own emergency supplies kits by packing essential items in a pillowcase—a common household item—for easy transport during an emergency. Students will have the opportunity to decorate and personalize their pillowcases. Through the program, the Red Cross aims to incorporate preparedness education into elementary school and after-school curriculums nationwide. “The Pillowcase Project is an opportunity to indoctrinate a culture of preparedness into a new generation and to educate youth on the importance of preparedness in a fun and interactive way. The hands-on activities will also help to build confidence so that kids are prepared to take action during an emergency,” said Alex Villa, regional manager of Community Preparedness & Resilience Services. Created in New Orleans and sponsored by Disney, the Pillowcase Project was inspired by local university students carrying their belongings in pillowcases in the aftermath of Hurricane Katrina. 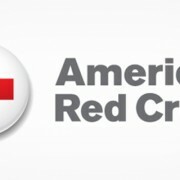 For more information on the program, contact Cayce Baierski, volunteer coordinator of the Central Valley Chapter, at Cayce.Baierski@redcross.org or call (559) 455-1000 x6607.